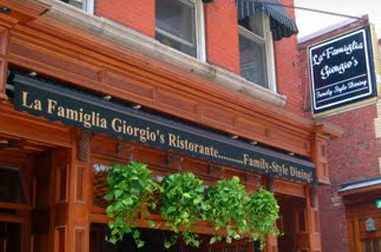 La Famiglia Giorgio’s is the quintessential authentic Italian restaurant in the renowned North End district of Boston. 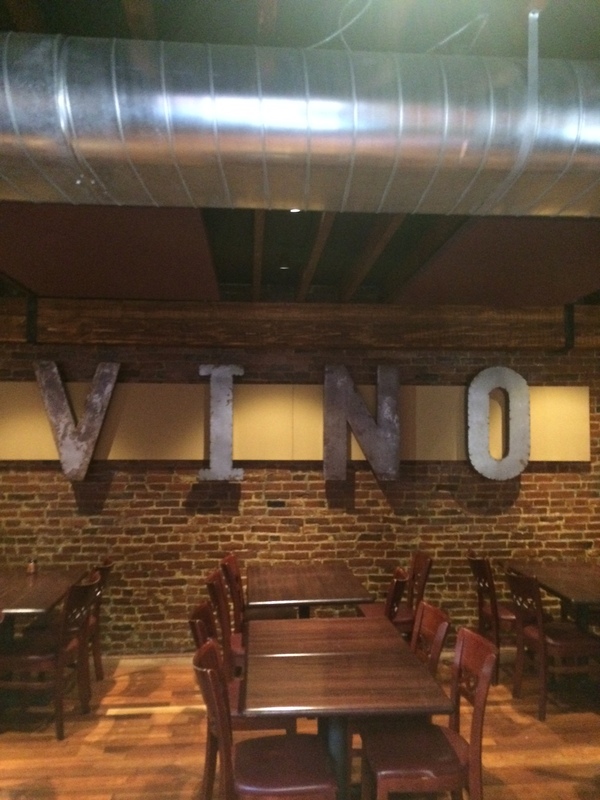 Wedged between two brick buildings, this family-owned business is constantly packed with diners searching for vero cibo Italiano. 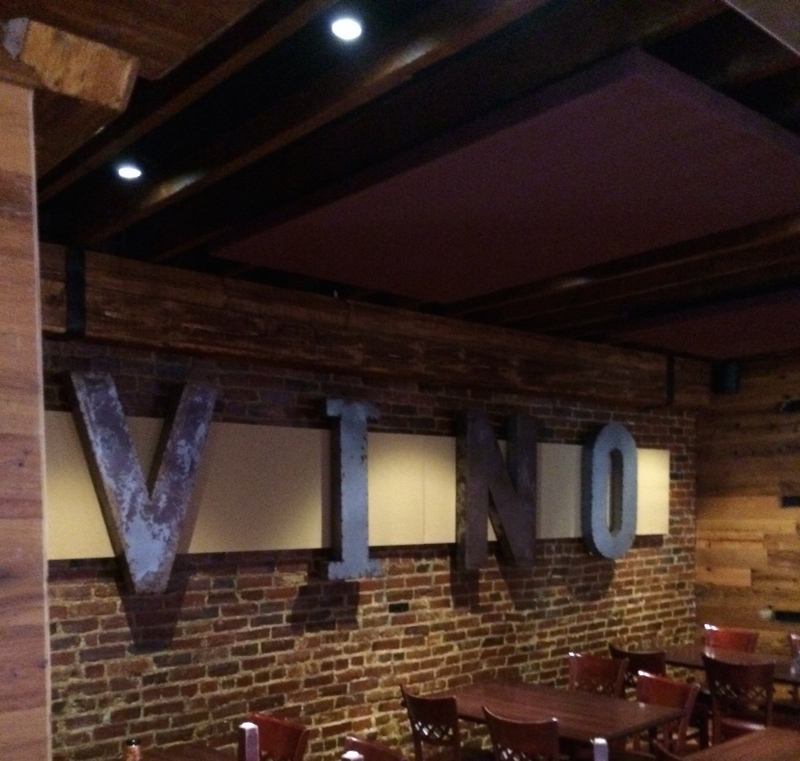 Yet, in true North End fashion, the space is tall and narrow, with a first floor of unadorned brick and plaster walls displaying a large mural of a traditional Italian landscape, oversized windows that open to the street, hardwood floors and bare tables, and a half-story above, boxed in by hardwood floors, exposed brick and wood plank walls, an entire row of extra-long windows and low ceilings with wooden beams. But despite the intimate décor, the volume upstairs was anything but cozy. 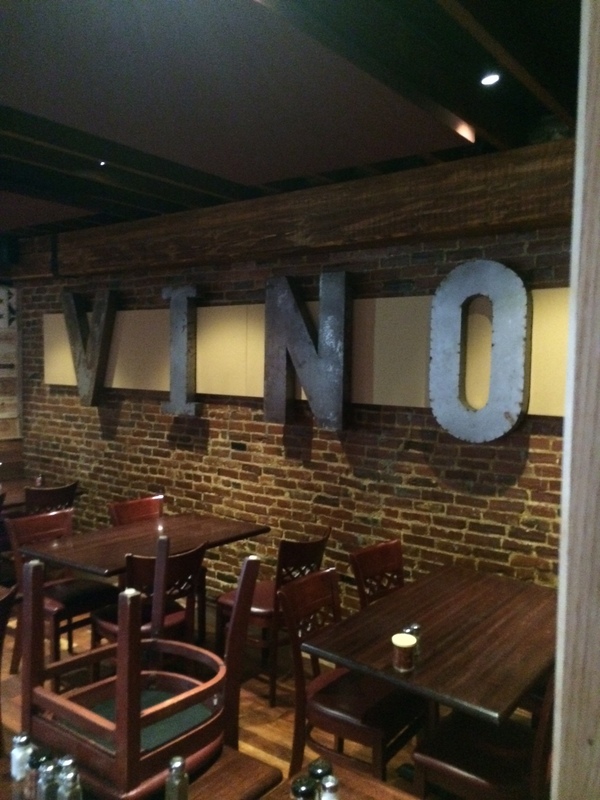 La Famiglia Giorgio’s turned to New England Soundproofing to assist them in addressing the issue. 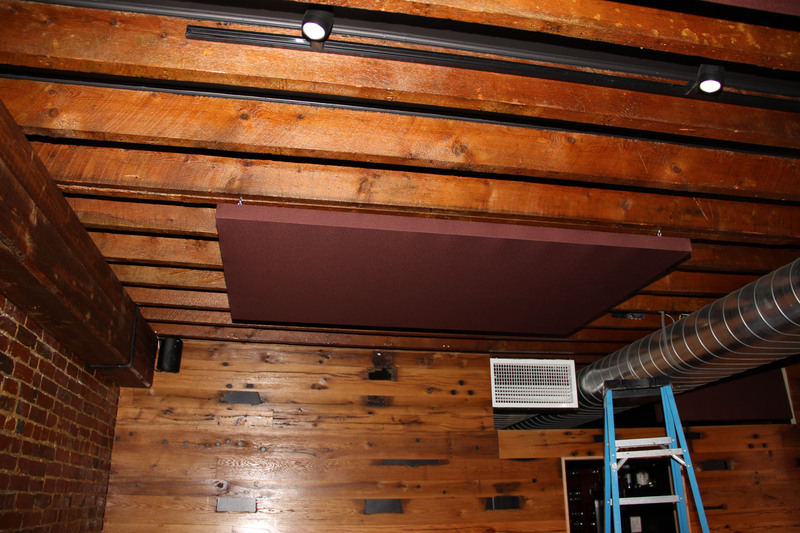 We fabricated custom acoustic panels specifically for the space, and plastered the walls and ceiling with them – though you’d never know it. We disguised many of the panels with interesting and eye-catching images from Italy, and intertwined the panels with the existing decorations, merging them into one unit. 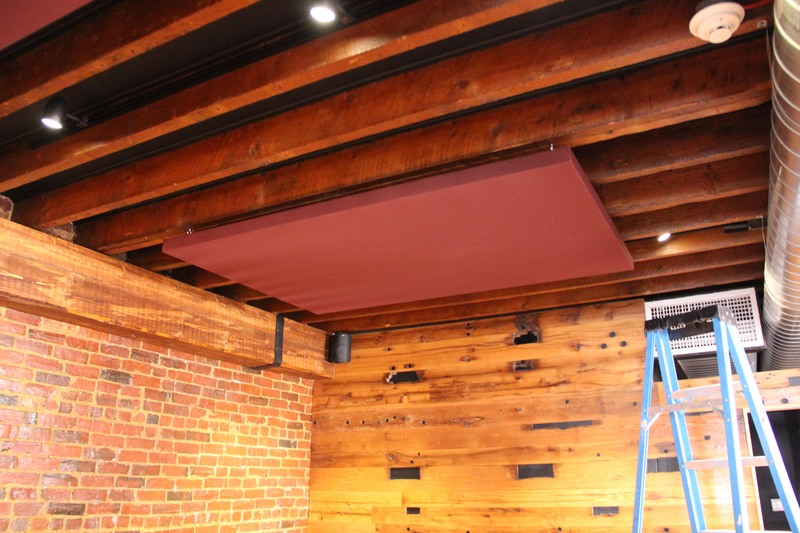 Finally, we adorned the ceiling with panels, carefully selecting a color that complimented the space but did not attract attention. La Famiglia and their clients are now happily focused on the food instead of the noise. Cin cin!